No matter how great and how S.M.A.R.T. ² your goals are, simply creating them and writing them down does nothing toward actually achieving them. You need to have an actionable plan of how you’re going to achieve each of your goals and spend the majority of your time and energy executing those action plans. To ensure you can’t fail, create each plan as a highly-detailed, bulletproof battle plan because on the business battlefield, every entrepreneur has a target on their back. For each big goal you have, devise a strategic plan by first breaking it down into smaller, manageable, but very actionable sub-goals. Some sub-goals may be project-based such as updating your website as part of your business growth goal. Other sub-goals may be behavior-based such as spending more time working on your highest value activities each day as part of your business growth goal. Perhaps you could break up each goal into both a project action plan and a behavior action plan. For example, if you want to improve your social media outreach, your project action plan might involve creating a Facebook page, designing graphics, inviting members, and advertising the page. Your behavior plan for that goal might be actually posting on the Facebook page every day which means turning that single action into a daily habit. For each goal you have, you must identify the milestone you would need to reach by the end of each month and end of each quarter to ultimately accomplish that goal. Then, break those milestones down into action items you have to do on a daily and/or weekly basis. Those specific actions are the tactics you will use to implement your battle plan. When creating those action items, consider exactly what needs to be done, in what order, using which tools and personnel, and how long each action item should take. You’d be doing yourself a great disservice if you only time-block an hour for social media on a daily basis when it takes you an entire hour just to reply to new messages on your different platforms. Likewise, it wouldn’t be wise to schedule a huge marketing campaign drawing people to your website when you’re in the middle of redesigning your pages and working out the kinks. Crawford, Greenewalt, and DuPont said, “One hour spent planning is worth four hours of execution,” and they couldn’t be more correct. When devising your bulletproof battle plan, you must first lay the groundwork for your win by assessing your current situation and hammering out the nitty-gritty details that must be addressed before setting out to execute your plan. Once you’ve figured out what needs to be done, in what order, using which tools and personnel, and how long each action item should take, schedule those action items on your calendar. The daily and weekly action items should seamlessly become habits stacked on top of one another, thus making up your routine. Your routines are extremely important because it’s what you do on a small, consistent basis compounded over time that will enable you to achieve big results in your business and your life. At the end of each quarter, review the strategic plan you implemented. If it was not effective, adjust your tactics. Battle plans are important but they aren’t flawless because new information is gained all the time, much of which could produce a better outcome. It’s important to be flexible. 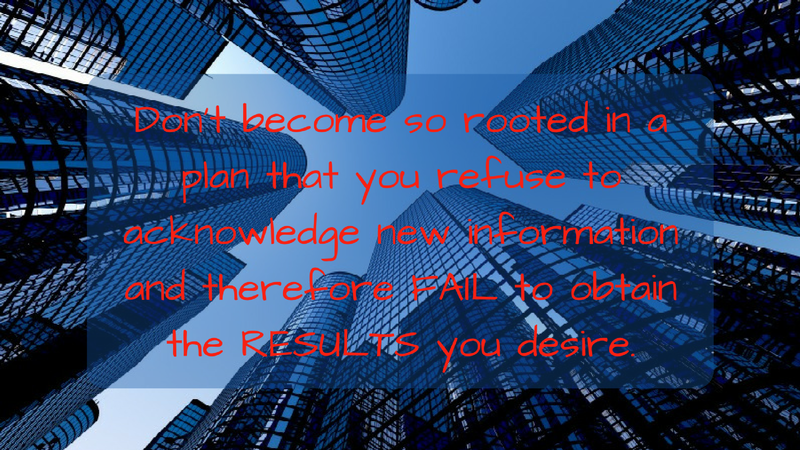 Don’t become so rooted in a plan that you refuse to acknowledge advancements in technology, the loss of key employees, new market trends, or a quickly changing economy. What matters is the end result. Review your plan and adjust it as necessary to tackle unforeseen obstacles, address new information, and ensure you still achieve the results you aimed for. Running a business is no easy task. It has its extreme highs but certainly its lows as well. Many entrepreneurs don’t succeed. They wind up deserting business ownership and heading back to corporate America with their heads hanging low, feeling disloyal to their dreams. But that’s not you. You won’t let the bullets of stress, fatigue, deadlines, pressure to network, client complaints, budgets, and uncertainty make a permanent mark on your business aspirations. You’ll work backwards from your big, strategic goals to create tactical, bullet-proof battle plans that will ensure you can claim victory on the business battlefield. Ready to create your own tactical plan to tackle your goals? Download my Bullet Proof Goal Achievement Plan Worksheet and start winning on the business battlefield!